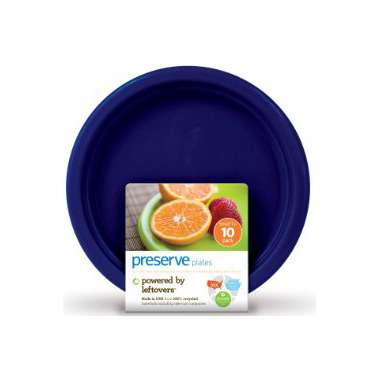 The next time you throw a party or plan a picnic, consider Preserve On the Go plates. They are lightweight and festive but can also last... and last. Preserve designed them to be dishwasher safe and withstand hundreds of uses. Unlike typical plastic dishware, they won't crack, warp or break. On the Go is also a smart investment. Sold in packs of 10, the plates are affordable enough to have a whole party's worth on hand. At the end of your event, simply gather everything up and throw it in the dishwasher. You'll be ready to entertain at a moment's notice! Very good option and quality. I had bought and used the small/large plats, cups and knifes, etc for family potluck and outdoor picnics.